The Republican candidate was met by protesters when he went to cast his vote in New York City. 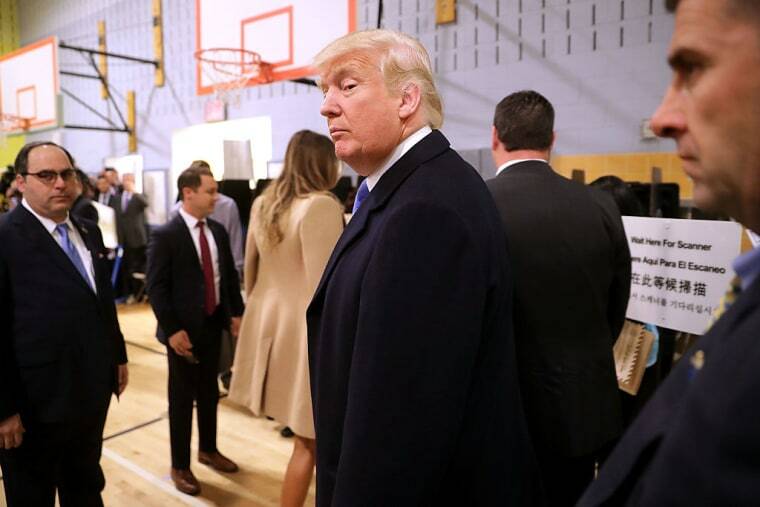 Donald Trump arrived at polling station, a New York City school, on Tuesday morning to cast his vote and was met by a hostile crowd. Outside the polling location, the crowd booed and heckled the Republican candidate, chanting "New York hates you." Trump was also booed upon his departure after casting his vote. Social media users captured the scene outside of Trump's polling place and the crowd's reaction. Watch clips of Donald Trump arriving and leaving his polling location below.